Serious Training for the Serious (or Almost Serious) Hockey Player. The Hockey Adademy is designed to supplement Adult Hockey by providing professional, organized, and effective hockey training for adults. 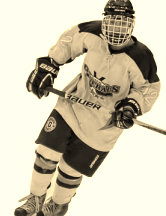 Hockey Academy is taught by certerified and experience personnel and includes both on-ice and off-ice classes.